Kelly George is a 200 hour registered yoga instructor who is trained in the Ashtanga Vinyasa tradition. She is a mother of two teenagers, a dedicated tree-hugging environmentalist, and a social justice ally. 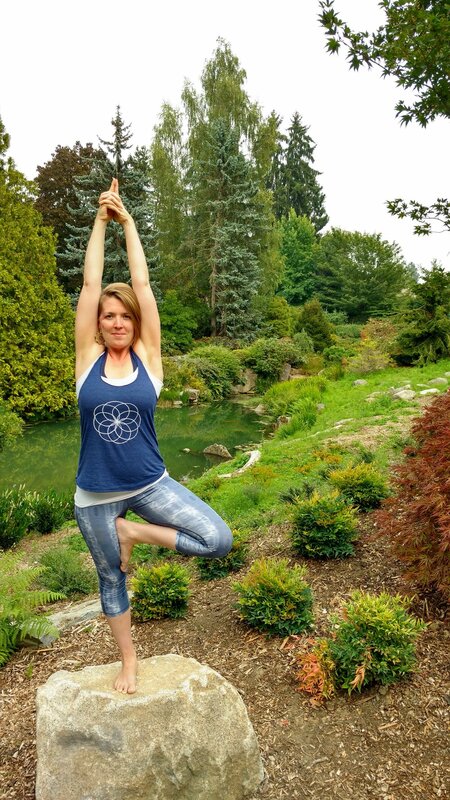 Kelly has been practicing yoga for over 16 years and has a deep passion for sharing embodied practices that honor the mind-body-spirit connection. She incorporates mindful meditation into every class and emphasizes the importance of alignment and balance, both on and off the mat. Community building and promoting self-care are some of her main goals in sharing yoga and she is beyond excited to join The Crow Yoga family.